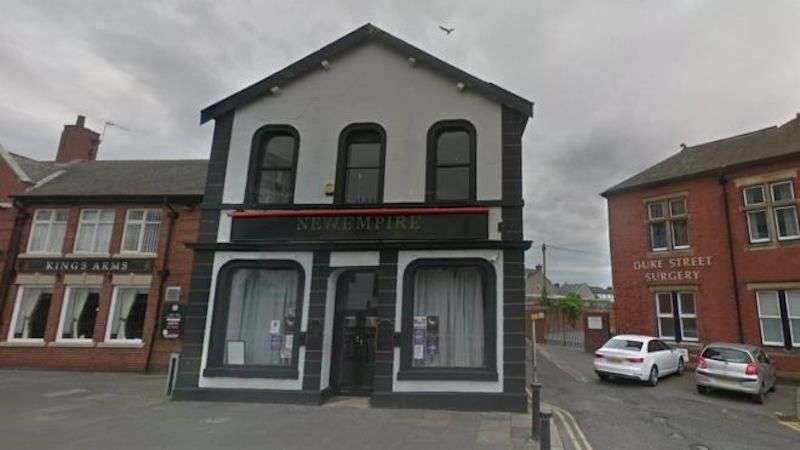 This week, an English court heard about 20-year-old neo-Nazi Ethan Stables’ plan to attack an LGBTQ Pride event at the New Empire pub in Barrow-in-Furness, Cumbria, England. 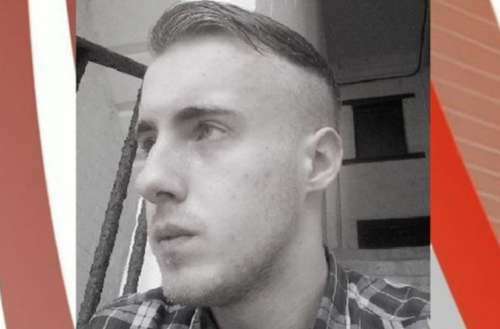 His Neo-Nazi gay bar attack plan was foiled after another Facebook user reported his publicly posted plans to police. According to prosecutors, Stables had become “enraged” after hearing about a June 23, 2017 Pride event at the local bar. He had gathered a machete, knives, an axe, air rifle and BB gun to attack the bar. He’d even scoped out the bar a few times and was arrested walking home from his final “reconnaissance mission” at the bar. He had planned to attack the bar later that night. 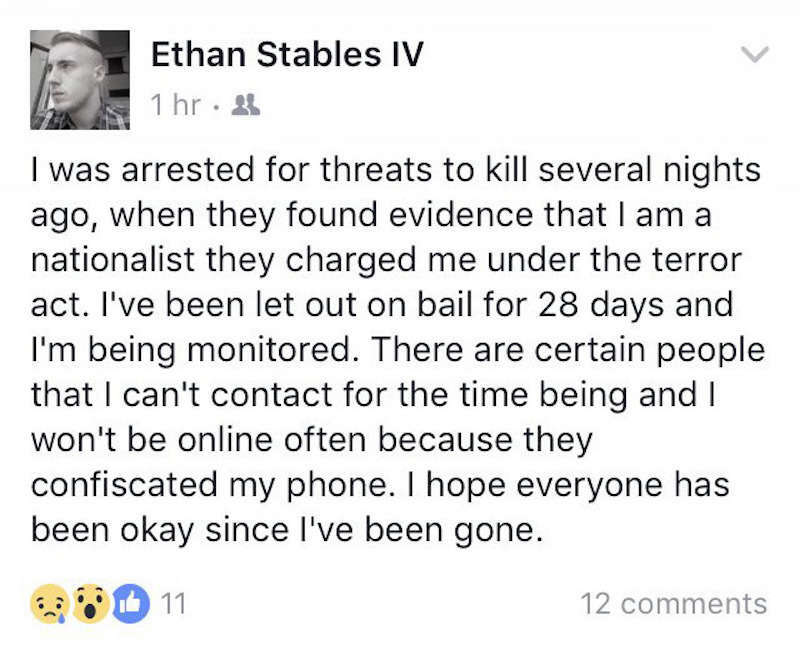 Stables allegedly posted about his intent to kill bar patrons in a Nazi-themed Facebook chat group. 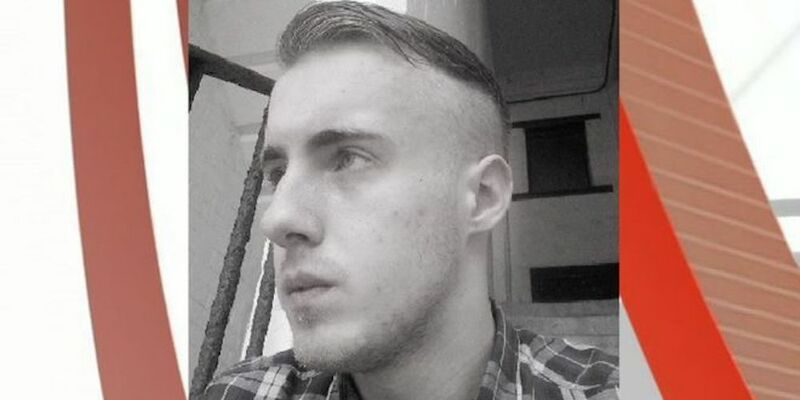 A woman who saw the messages contacted Cumbria Police and they arrested him around 10 p.m. near the pub. 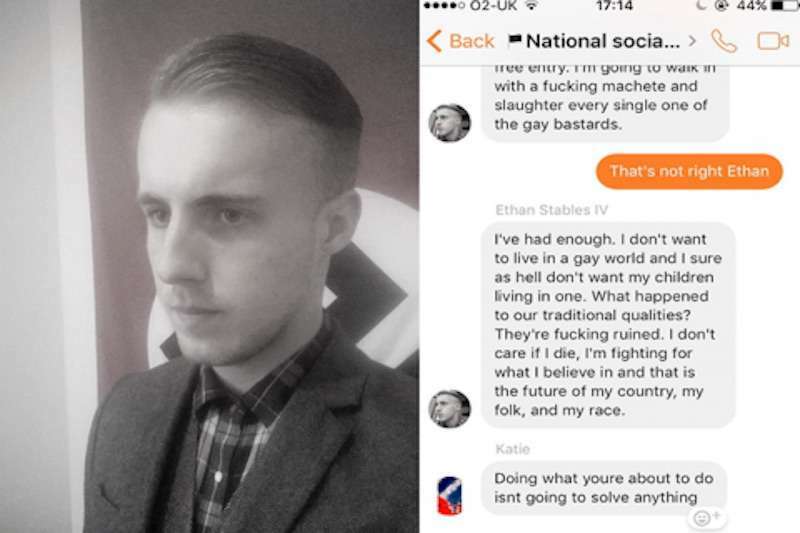 He also said that Stables has Asperger’s Syndrome — a mild form of autism that makes people socially awkward with an all-absorbing interest in specific topics — and that Stable had a favorite gay uncle and gay best friend, as if those things don’t make you homophobic or racist. Stables’ trial is expected to go on for two more weeks.